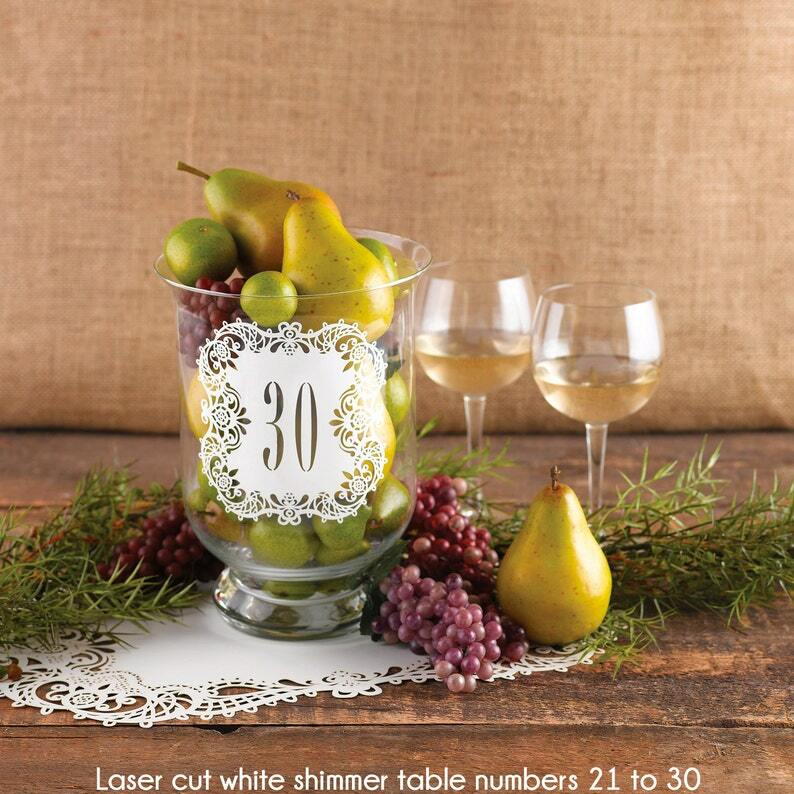 Guide guests to their tables in unique style with white shimmer paper table number cards laser cut with numbers 21-30. Frame the cards or display in tall clips, vases or other. Table Numbers Laser Cut Organic Leaves Design Wedding Reception Table Number Cards 11 To 20.